The District of Columbia has some of the strictest and complicated gun laws in the country. Since the 2008 Supreme Court Heller decision struck down provisions of the Firearms Control Regulations Act of 1975, there has been a lot of confusion and questions about who can own a gun, the types of guns and ammunition allowed in the District, registration, concealed and open carry, and how guns may be transported within Washington D.C. In Part 1 of this blog, we’ll look at the law and try to clarify some of those questions. In Part 2, next month, we’ll talk about the charges, penalties, and consequences of breaking DC’s gun laws. What did the Heller ruling do? How do I register a gun in the District of Columbia? In Washington DC, each firearm must be registered at the Metropolitan Police Department (MPD) headquarters. The firearms registration process also serves as the licensing process and acts as a permit to purchase a gun. Each firearm may only be registered to one individual…in other words, a husband and wife or roommates cannot share a registration. To register a firearm, you need to show proof of residency and proof of identity. Handgun registrants must be 21 years of age or older. Applicants must reside in the District of Columbia. Each applicant will be photographed, fingerprinted, undergo a background check, and must take an online gun safety course. Non-residents either employed or who own a place of business in DC, may register a firearm, but it must be kept at that DC location. There is a ten-day waiting period from firearm purchase to actual possession. Can I carry a concealed weapon in Washington DC? To carry a concealed handgun in DC, you must obtain a License to Carry a Handgun. Licenses are issue on a shall-issue basis, meaning that if you meet all qualifications, by law, the license must be issued. 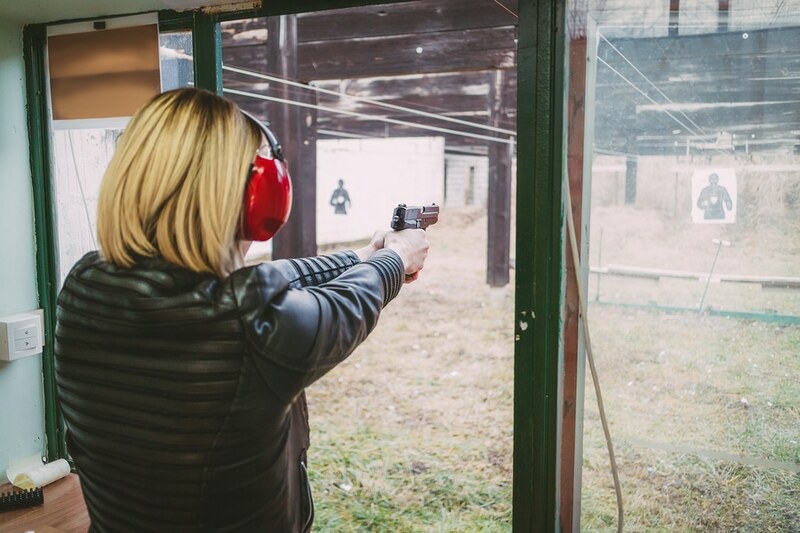 To receive a concealed carry permit, an applicant must meet the requirements for registering a firearm and complete a certified firearms training course. He/she cannot be an alcoholic, addict and/or habitual drug user, exhibit instability or a propensity for violence, and in the previous five-year period suffer from mental illness. Concealed carry weapon permits must be renewed every two years. It is illegal to carry a handgun openly in the District of Columbia. Can I carry a weapon in my car while driving? If you have a carry concealed weapon license, you are permitted to carry a loaded firearm in your vehicle. In all other circumstances, it is illegal to carry a loaded weapon in any vehicle, even if you are licensed in another state. If you are carrying a gun in your car, it must be unloaded, and both the weapon and the ammunition must be placed outside the passenger compartment of the vehicle. If your vehicle doesn’t have a separate compartment, for instance, an SUV, then the unloaded firearm and ammunition must be stored in a locked container. You may not use the glove box or center console to store your firearm. What types of guns may be registered in DC? The District of Columbia also prohibits the possession of BB guns. Owning or using a BB gun incurs a maximum fine of $300. I have a gun permit from another state. Does DC have reciprocity agreements? The District of Columbia does not have a reciprocity agreement with any state and will not honor any other state’s concealed carry permit. If you live in another state and wish to carry a handgun while in Washington DC, you must obtain a non-resident firearm’s license in DC. What kinds of ammunition may I use in the District of Columbia? Residents may not buy or possess ammunition without first holding a valid firearms registration certificate. Magazines that hold more than ten rounds, protective armor penetration ammunition and .50BMG are illegal. Where can I carry a gun in Washington DC if I have a carry license? At a gun range or other place where guns are used for lawful recreational purposes. In a vehicle when transporting the gun for a lawful purpose. On private property that is not a residence unless the property has signage posted prohibiting the carrying of a concealed pistol. Where can I NOT carry a gun in the District of Columbia? If you have questions about DC gun laws and penalties and you’re looking for an experienced criminal defense law firm that will fight for your rights throughout the criminal process, contact Jay P. Mykytiuk, Trial Attorney. Mr. Mykytiuk has successfully represented individuals throughout Washington D.C. who have been arrested and charged with gun crimes. Contact us today at 202.505.5863 to discuss your case.